Fact or Myth: Is Stevia Bad for You? (Underground Health Reporter) Since its debut in 2008, Stevia extract has become the darling of sugar substitutes, touted as a calorie-free, “natural” sweetener. In reality, stevia is more of a Frankenstein sugar substitute…a prime example of what happens when food manufacturers turn one of Mother Nature’s creations into a chemical monstrosity. The Stevia rebaudiana plant is indigenous to South America, and does indeed possess medicinal properties. Paraguay’s indigenous Guaraní have used stevia leaves to treat high blood pressure, obesity, and heartburn for thousands of years. With the rise of artificial sweeteners in the 1970s, alongside the growing awareness of their carcinogenic effects, Japanese researchers began experimenting with the stevia plant. They successfully extracted the sweetest compounds from the leaves (up to 300 times sweeter than sugar). 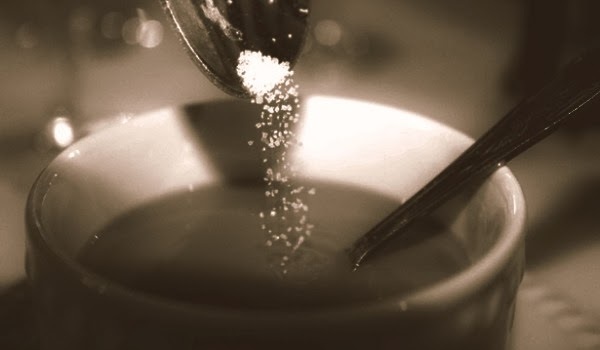 And so began the commercialization of the “holy grail of sweeteners.” American companies such as Coca-cola jumped on board the stevia train with brands such as Truvia and SweetLeaf. These commercialized brands of stevia, however, have evolved far from their “natural” roots. Stevia extracts go through a refining process that involves approximately 40 steps and the addition of know carcinogenic ingredients, such as acetone, methanol, acetonitrile, and isopropanol. The result is a highly processed, and possibly carcinogenic, sugar substitute that has been linked to liver mutation, fertility problems, and disruptions in energy metabolism. “Natural” Flavors: These sugar alcohols, such as erythritol, maltodextrin, and agave nectar, aren’t easily absorbed by the body and can cause gas, diarrhea, headaches, and other ailments. Xylitol: This naturally occurring substance is not in itself dangerous, but has been bastardized by the manufacturing process, which pairs it with the heavy metal toxin Raney nickel. Glycerine: This solvent coats the teeth and interrupts the remineralizing process. It’s time to replace the unnatural commercialized stevia extracts (and any other artificial sweeteners you use) with a natural sugar source. Raw honey (particularly locally sourced) is a truly all-natural source of balanced fructose and glucose that not only stabilizes blood sugar levels, but also fuels your body with nutrients and enzymes to strengthen overall health and wellness. Danica Collins is a natural health specialist and the managing editor of the Underground Health Reporter. She is also the spokesperson for Think-Outside-the-Book Publishing, the publisher of The One-Minute Cure: The Secret to Healing Virtually All Diseases, which reveals the scientifically proven therapy that creates a condition in the body that is uninhabitable by disease. Danica reports twice a week to our readers, bringing them the most popular health news on the market, new cutting-edge, anti-aging technologies, and some of the best-kept health secrets in the world.